Jann Mardenborough in his work gear. Steve Mardenborough admits his overseas football travels were limited mainly to summer tours. The story is very different, though, with his eldest son. At the age of 22, Jann Mardenborough is already a busy globe-trotter competing at the sharp end, with New Zealand, Japan and a host of European countries among the stamps on his passport. But it’s motor racing’s Formula Three rather than football which is taking him far and wide – he’s even in Abu Dhabi this weekend on an all-expenses watching brief at the Formula One Grand Prix. Steve and wife Lesley-Anne are themselves frequently taking to the skies to support him in a career that has highly unusual roots. Jann first revved up in the sport by beating around 90,000 entrants and winning a drive through his success in a Play Station competition sponsored by Nissan and Sony. So fast – pun intended – was his ascent that he has since competed in British and European Championships, taken part in the Dubai 24-hour race and even at the world-famous Le Mans event. “He has had quite a few podium finishes and we’re very proud of him,” said Steve today. “He was part of a team who finished third in their category in Dubai in a Nissan 370Z, then he was pushed forward for the British GT Championship at Donington Park, where they were on the verge of winning until suffering suspension problems. “He was on the podium in the British Formula Three Championship and has been to any number of tracks in Europe, like Silverstone, Brands Hatch, Hockenheim, Spa and Monza. At the Le Mans 24, he was asked to bring the car home and the team were third in their category again. The family are based in South Wales and Jann was studying engineering at Swansea University when his big break came two or three years ago. Steve works in the electrical business and was born in Selly Oak while Lesley-Anne grew up in Aldridge. As we wonder whether this is the first Mardenborough-related Wolves article that has waited so long to mention his famous Anfield winner in 1984, we can highlight one or two lesser-known facts from Steve’s career; namely that he played for three former Wolves men at other clubs in Jim Barron (Cheltenham), Brian Little (Darlington) and Gould (Coventry). 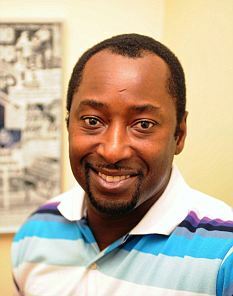 At Cheltenham, he was strike-partner to Andy Gray, with whom he briefly crossed paths at Molineux. 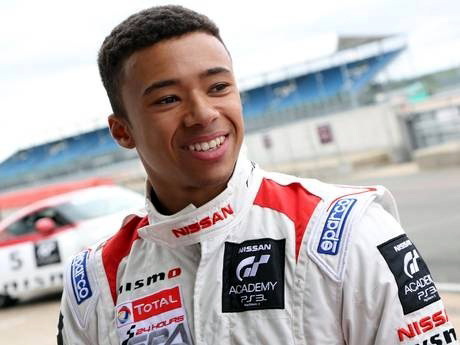 Steve Mardenborough – proud dad. Mardenborough Snr also served Lincoln, Colchester, Swansea, Cardiff and Newport but we have no intention of listing all his clubs. Wikipedia shows that he had around 25 moves in his playing career. What we can say is that he retains a foothold in the game. The couple’s youngest son Coby is in the Welsh National learning difficulty squad at the age of 19. Posted on: Saturday, November 2nd, 2013.